Now you can connect and build families and couples right on your guest list! 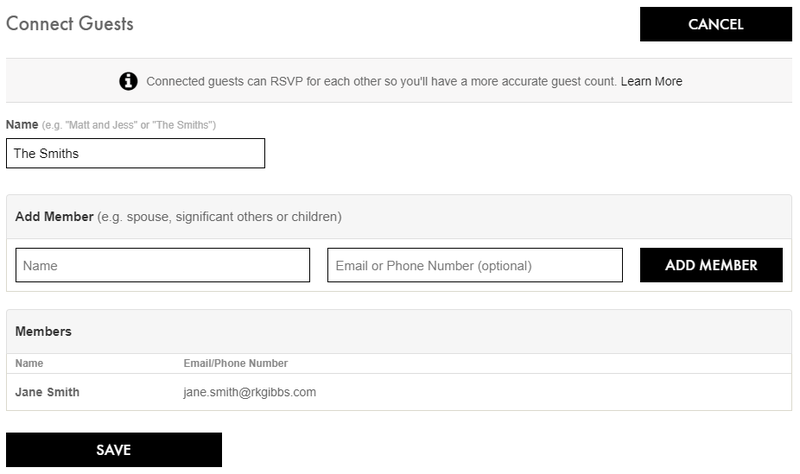 Guests will see who else in their family is invited, and can even RSVP for them. 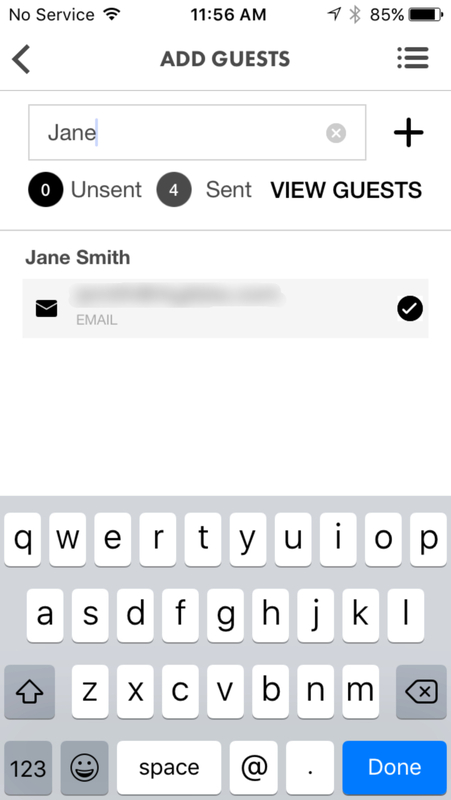 This keeps your guest count highly accurate. 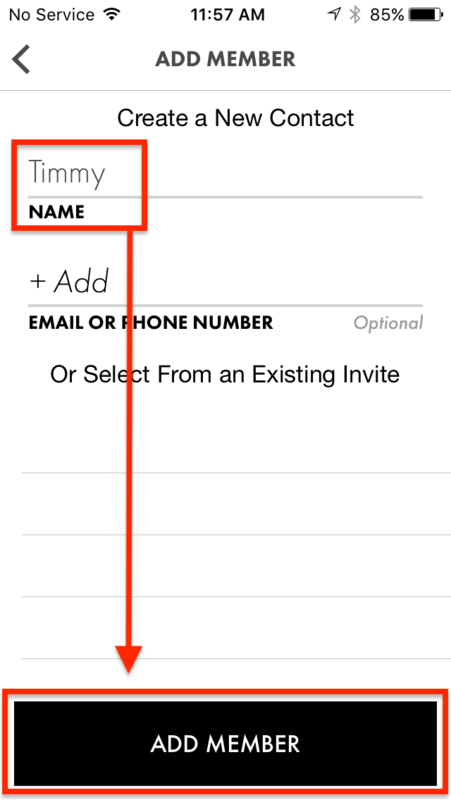 To add Jim and Jane's kids, go back to the Add Member section and enter their names, leaving the email field empty. In this example, their kids are Timmy and Tommy. 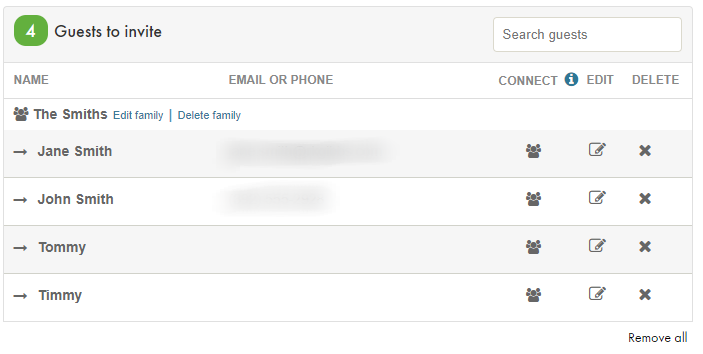 Once you've added both children click Save to finish the family. 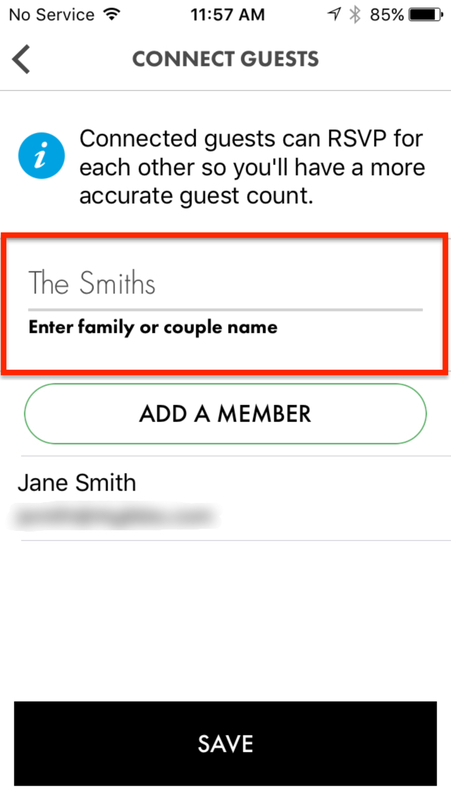 Now "The Smith" family is created in your guest to invite list! 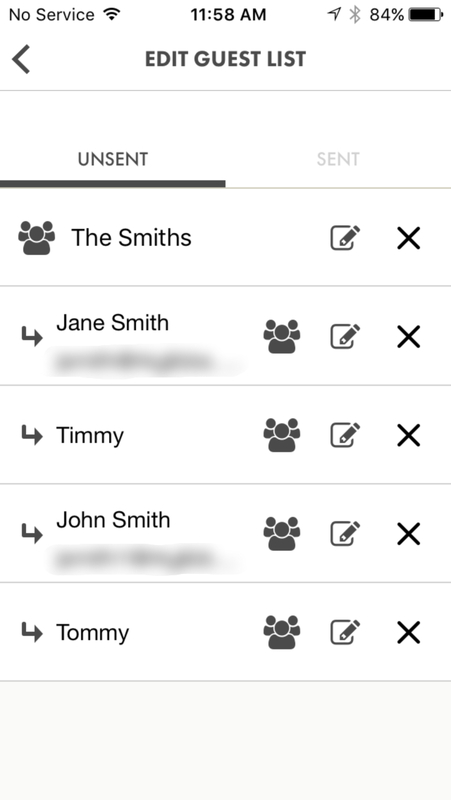 Note: The Connect feature is currently not available in the Android version of the Party City mobile app. 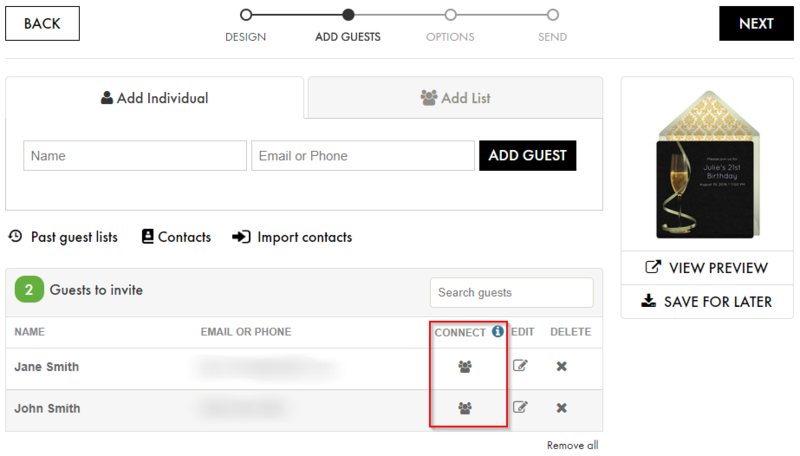 Once on the Add A Member screen, you can add a new member manually or select from your existing guest list. 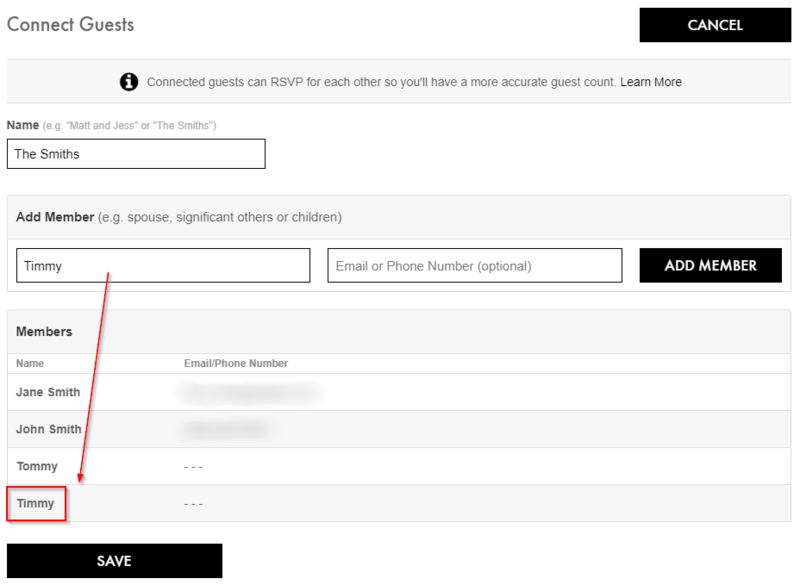 Clicking John's name from the guest list will add him to the family immediately. 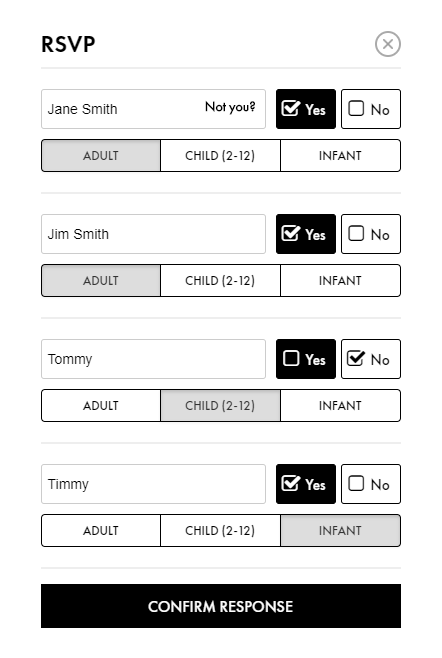 Once you've added both children click the Save button to finish the family.